Lancaster County is home to the famous Mud Sales, which have been appropriately named for the type of conditions that these auctions are held in. Usually held in the spring when the ground is beginning to thaw, these sales will take place at one of our local fire companies. Whatever you’re in search of you will be sure to find it at a Mud Sale. Anything from Amish country quilts and antiques, to lumber, buggies, equipment, food, plants, lawn furniture and tons of nick-knacks. As we say in Antique Central, one man’s junk is another man’s treasure. Take a guided tour through an authentically furnished Lancaster county Old Order Amish farmhouse. Learn about the history and customs of the 24,000 Amish living in Lancaster County today. Discover why the Old Order Amish live as they do. Aaron & Jessica’s Buggy Rides offer several different routes through real Amish country. They take you right through the middle of Amish Farms, on private roads with no cars and you’ll see real Amish Life. Come experience Lancaster County’s living heritage in the heart of Pennsylvania Dutch Country. The Amish Farm and House–the United States’ first Amish attraction–opened in direct response to the growing demand for correct information about the Old Order Amish lifestyle. 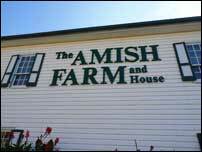 Amish Loft carries handcrafted, solid wood furniture made in Amish workshops and barns. You’ll find a wide variety of Mission and Shaker style furniture. Most of their pieces can be customized. Their kitchen cabinetry is a style reminiscent to kitchen furniture found in homes a century ago. They also offer beautifully designed handmade Amish Quilts. Offers a full line of Genuine Amish-made products: handmade Amish furniture, a full line of Amish wagons, tricycles and accessories, handmade Amish quilts & quilted items, a complete array of Amish candles & wrought-iron candle accessories, potpourri, and soaps. Toys like marble rollers and faceless dolls, sleigh bells, tantalizingly tasty baked and canned goods, books about the Amish, and souvenirs. A unique shop that is certain to delight you with its friendly, country atmosphere. 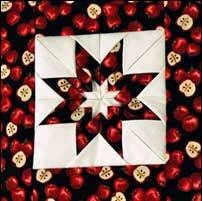 Our beautifully custom handmade quilts are made by local Amish and Mennonite women in their own homes.